There are many flaws that can tarnish the appearance of the smile. However, one of the most noticeable aesthetic flaws, poor teeth color, can be easily corrected. Brushing and flossing is a great way to keep the teeth clean and healthy. However, even these habits cannot prevent tooth discoloration. Abrasive foods, deeply colored foods, and aging are just some of the most common causes of tooth discoloration and staining. When the teeth have begun to appear yellow or gray, cosmetic dentist Michael Bixby suggests teeth whitening treatment. Teeth whitening treatment can brighten and whiten the teeth in order to dramatically improve the appearance of the smile. For our patients in Red Bank, teeth whitening risks and side effects are minimal and the benefits are numerous. Teeth whitening is a non-invasive cosmetic treatment that results in very few side effects. In fact, many patients complete treatment without experiencing any side effects at all. For those who do report side effects, the most common is temporary tooth sensitivity. The bleaching agent in teeth whitening solution strips the teeth of their protective layer of mineral and leaves them temporarily more porous. For some patients, this results in increased sensitivity, especially to hot and cold temperatures. This sensitivity should be temporary and is likely to dissipate within a week after treatment. In the meantime, patients can ease sensitivity by avoiding food or beverages of extreme temperatures, brushing with a soft bristled tooth brush, and using toothpaste formulated for sensitive teeth. Teeth whitening is considered an extremely safe cosmetic treatment. The main risk of teeth whitening is damage to the soft tissue of the mouth, such as the gums, lips, or tongue, which occurs when these tissues come into direct or prolonged exposure with bleaching gel. This damage is very unlikely, especially when patients undergo professional teeth whitening treatment. Dr. Bixby offers both an in-office and at-home teeth whitening treatment. Both of these treatments are supervised by Dr. Bixby in order to ensure that the bleaching material is applied directly to the teeth so that contact with the soft tissues of the mouth are avoided. During an in-office treatment, the bleaching solution is applied by Dr. Bixby. 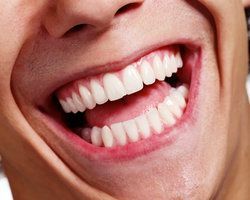 Our at-home treatment involves the use of a bleaching tray that has been custom-fitted to ensure a snug fit that creates contact between the teeth and the whitening solution. With Dr. Bixby’s professional supervision, the risks of teeth whitening are extremely rare. If you would like to improve your smile by brightening and whitening the color of your teeth, contact us at your earliest convenience. Dr. Michael Bixby offers teeth whitening treatments that can help you achieve the color you desire in a setting and time frame that is convenient to you. We look forward to helping you achieve a beautiful, white smile.